16,70 € прибл. 1.202,15 руб. 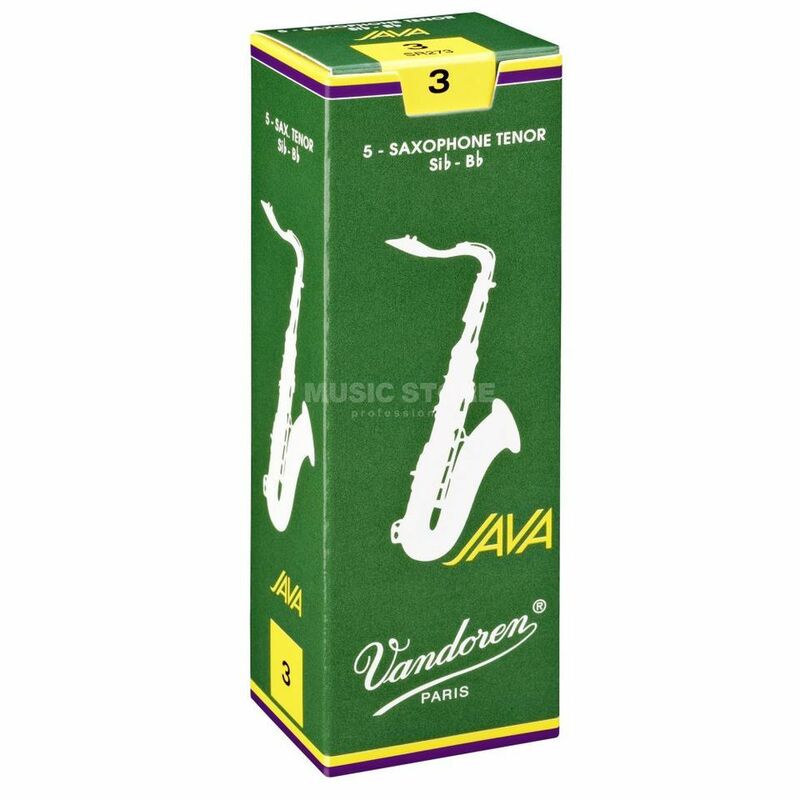 The Vandoren Java Tenor Saxophone Reeds Strength 1 Box Of 5 was developed in 1983 for jazz and popular music. A thicker tip and a more flexible palette than the Traditional reed allow vibration over a larger surface area with maximum elasticity. JAVA reeds are more flexible than Traditional reeds and V16s as they vibrate on a long palette, creating a bright sound with immediate response.